We’ve been asking Poncho for a long time now, usually in a high-pitched tone followed by some grabs, “What kind of doggie are you?! What kind of doggie are you? !” She always declines to answer. Well the jig is up Poncho. Your secrets are no longer safe. Please email nancy@nancypearce.com or post your answer on Instagram with your guess on what kind(s) of dog Poncho is. Whoever names the type(s), of dog she is will win a rawhide dog bone cast in bronze. The winner will be selected in a random drawing from all eligible entries that contain the correct answer. The winner to be announced March 15, 2019. Poncho pictured here at Encino Solo in Ensenada, Mexico. The winner will receive a rawhide dog bone cast in bronze. Unlike Ginger, Poncho knows exactly what’s going on. PEARCE will be at the Heath Make Good Market in San Francisco December 9-10. 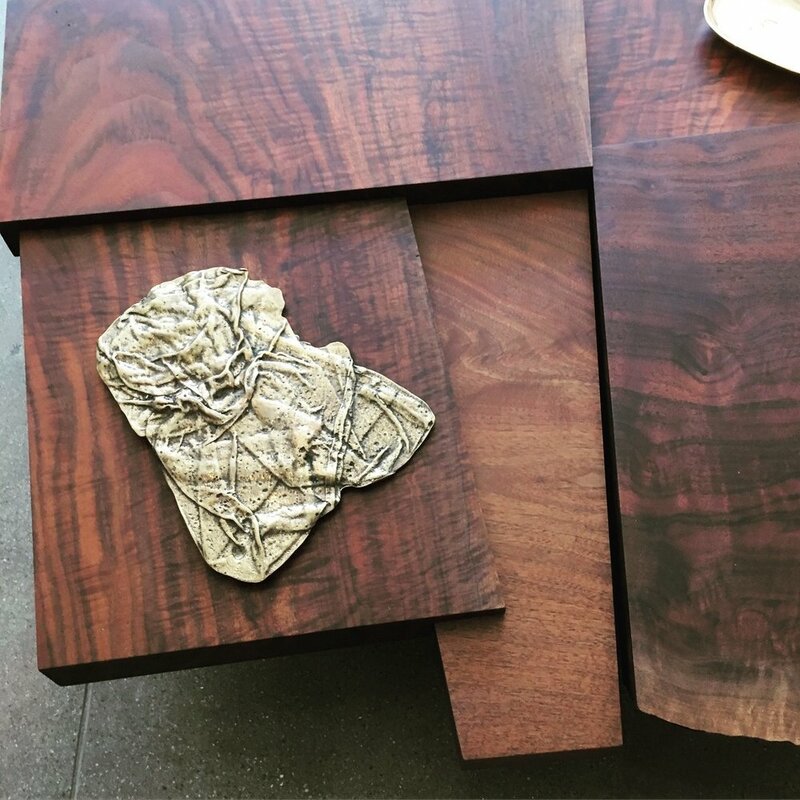 Shop local designers and artists and support neighborhood kids at Ivanhoe Elementary. PEARCE work in bronze also at the Echo Park Craft Fair December 9th and 10th at my normal booth. I'll be showing with Kissweh - hand embroidered pillows made by Palestinian refugees in Lebanon. More about Kissweh here. 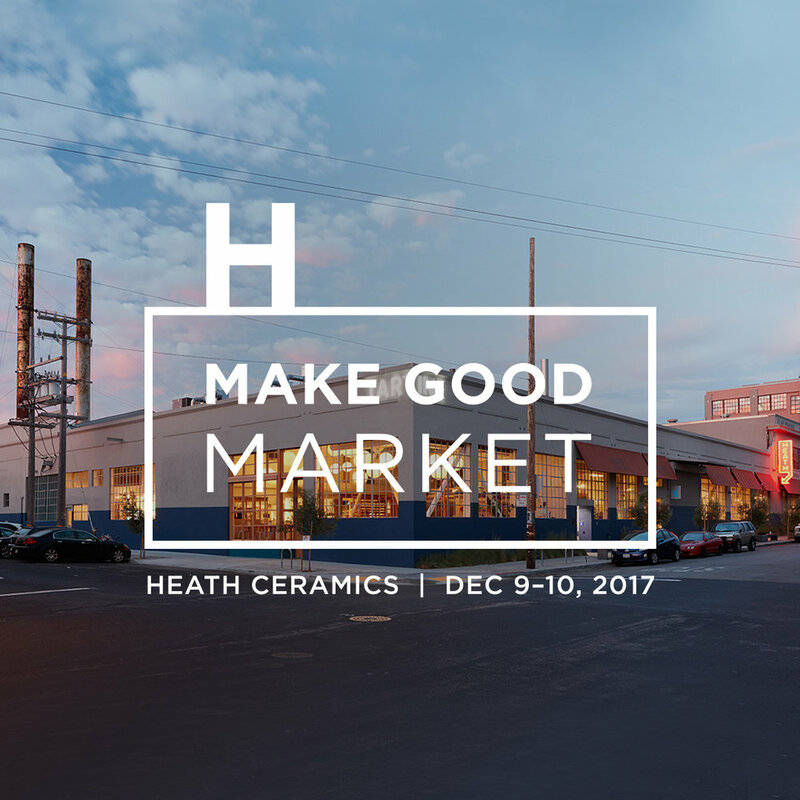 PEARCE will be at the first Heath Make Good Market in San Francisco December 9-10.